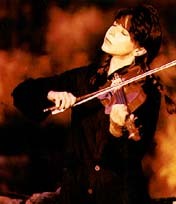 A much-loved and highly regarded singer/songwriter and multi-instrumentalist, Mindy Jostyn passed on in March 2005. For nearly ten years, she toured throughout the eastern United States wowing audiences with her soulful voice, distinctive melodies, witty and insightful lyrics, and her command of a host of different instruments including guitar, violin, harmonica, accordion, and piano. She headlined at legendary folk clubs such as the Bitter End in New York City, Club Passim in Cambridge, MA, and the Ironhorse in North Hampton, MA, and she performed at the Falcon Ridge, Winnipeg, and Long Island folk festivals. 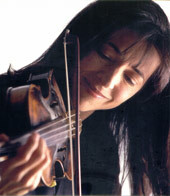 During the years that she toured as a singer/songwriter, Jostyn released four solo CD's. Her first, "Five Miles from Hope", is a rootsy, country blues album recorded with a live band and musical guests Donald Fagen, Carly Simon, and Garth Hudson. Her follow-up, "Cedar Lane", is a pop-folk paean to the suburbs of her youth featuring emotive ballads and satiric takes on modern love. Her third CD, "in His eyes", is a non-denominational collection of "folk hymns" (a term that Mindy coined). In 2003, she released "Blue Stories", a collection of bittersweet songs about people and their plights. 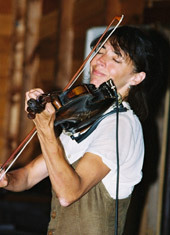 During the year before she passed on, Jostyn spent much of her time working on a new solo CD called "Coming Home" which was released in September 2005. Like "in His eyes", "Coming Home" is a collection of non-denominational "folk hymns". Produced and orchestrated by Peter Link, it's flavored with musical influences from around the world and features Jostyn on lead vocals, all of her instruments, and a host of guest artists. 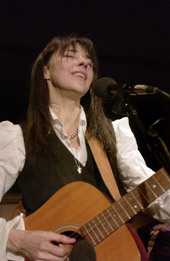 Jostyn's co-lyricist on all of her CDs is her husband Jacob Brackman whose prior musical collaborators include James Taylor, Dr. John, Steve Winwood, Jerry Ragavoy, and Carly Simon, with whom he wrote many songs including "That's the Way I've Always Heard it Should Be" and "I Haven't Got Time for the Pain." Prior to launching her solo career, Jostyn was an established "sideman" who toured with some of the biggest names in popular music including Billy Joel, John Mellencamp, Donald Fagen, the Hooters, Joe Jackson, Cyndi Lauper, and Carly Simon. She also appeared and/or recorded with John Bon Jovi, Shania Twain, Andreas Vollenweider, Pat Benetar, and Laura Nyro. Jostyn grew up in San Jose, CA and Wellesley, MA. Already playing several instruments at age 11, she organized an all-girl ensemble called The Tigers. When boys came into the picture, she started writing about them and performing with them in a series of bands culminating with The Cyclone Rangers, a cover band that performed for a decade in and around New York City. At every stage of her career, Jostyn composed and performed devotional songs, both in and out of churches, using her music to integrate the spiritual with the secular. Mindy with: (from top) Phoebe Snow and Will Lee, The Hooters, Billy Joel, John Sebastian, Jimmy Vivino and Donald Fagan, Chaka Khan. Performances throughout the U.S. Back-up singer, violin, acoustic guitar, mandolin, harmonica, accordian. Back-up singer, electric and acoustic guitar, accordian, violin, mandolin. Singer, keyboards, acoustic guitar, violin, harmonica, mandolin, accordian. Back-up singer, acoustic and electric guitar, violin, harmonica, mandolin, accordian. Singer (back-up and lead), acoustic and electric guitar, harmonica, violin, mandolin. Singer (back-up and lead), acoustic guitar, violin, harmonica. Various performances including 1992 national tour featuring Donald Fagen, Waiter Becker, Michael McDonald, Boz Scaggs, and Phoebe Snow. Singer (back-up and lead), violin, harmonica. Back-up singer, electric and acoustic guitar, violin, harmonica. Other performance dates: Pat Benatar, Shania Twain, Jon Bon Jovi, Kate Taylor, and John Waite. Kate Taylor Beautiful Road T.B.A.